Is it time to refresh your pillows? 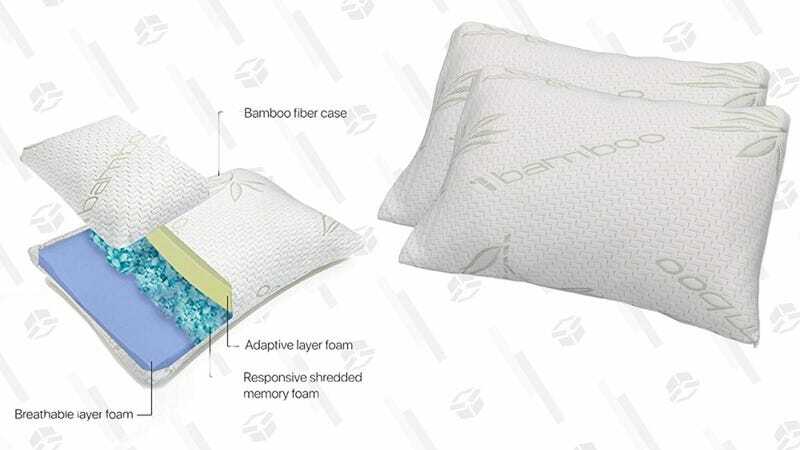 These shredded memory foam bamboo pillows from Hotel Comfort are easy to customize by adding or removing fill, and hold their shape well when you fluff them, making them great for any type of sleeper. You can get a two-pack today from Daily Steals for $40 with promo code KINJALUX, which is $10 less than Amazon, where they carry a 3.8-star review average from over 1,200 customers.